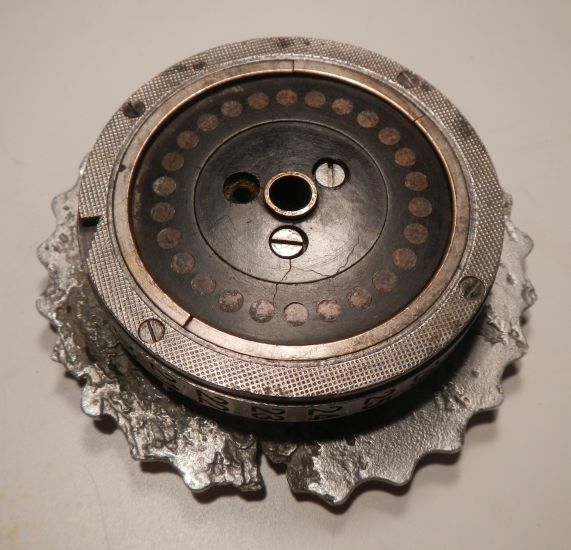 This is a set of three original Enigma rotors from a 3-rotor WWII German Enigma machine. 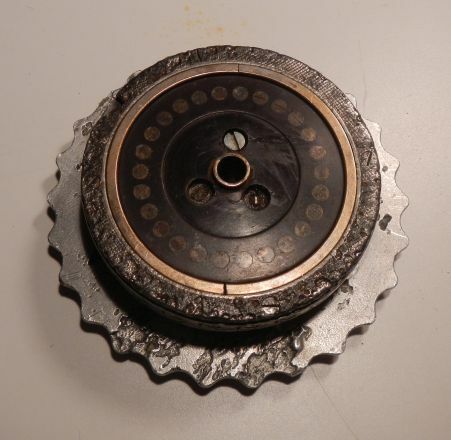 Rotors II, III, and IV all have the matching serial number, A8456. 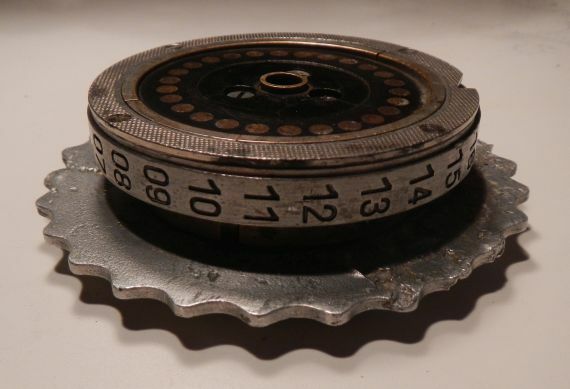 The serial number indicates that these rotors were made in Berlin and issued with an Enigma machine to the German military in 1938. 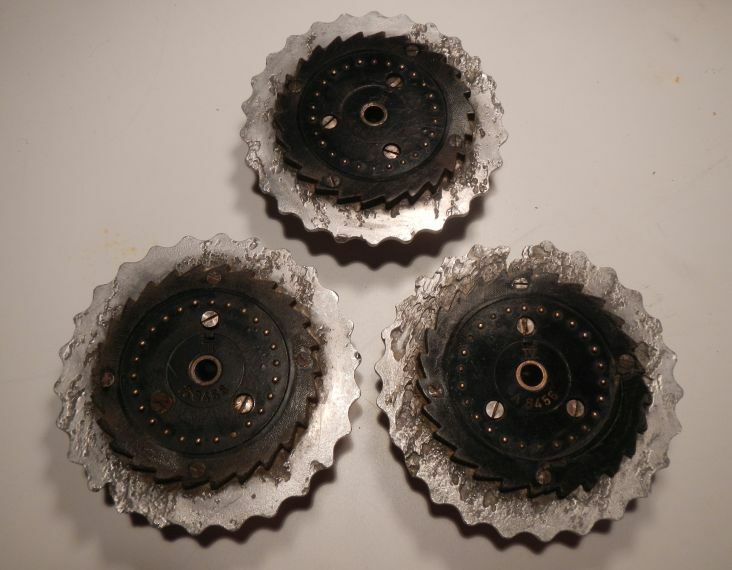 These rotors would have been used in a 3-rotor Enigma to send coded messages before and during WW-II. 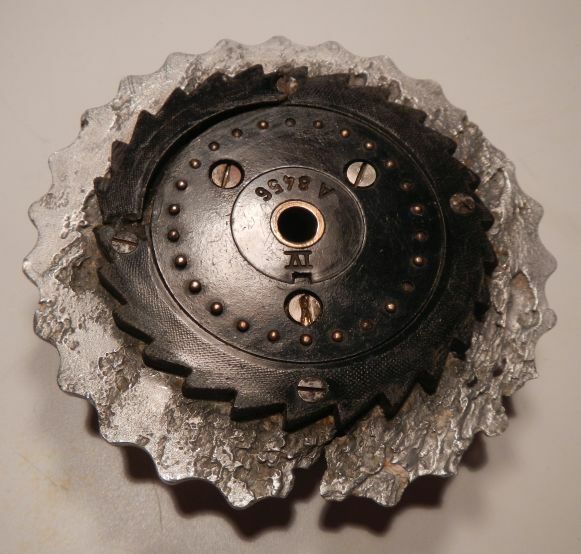 These rotors are unearthed battlefield finds from Europe and show significant signs of exposure to the elements. 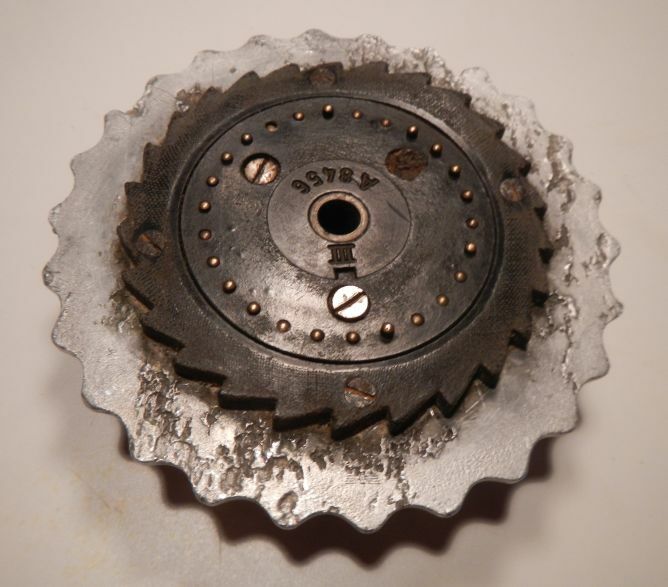 While complete, each rotor has corrosion, scrapes, chips, and other signs of heavy use and subsequent abandonment in the field. 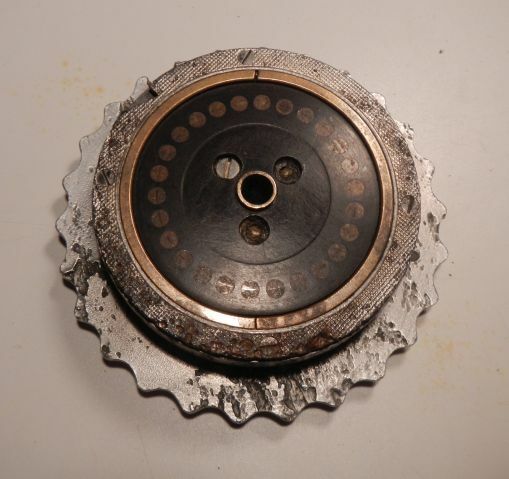 The spring loaded contacts on all three rotors appear to be intact however, most of them have corroded in place. 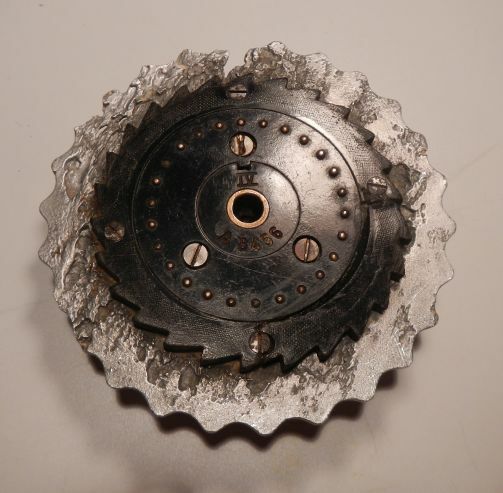 These rotors are in “as-found” non-working condition. 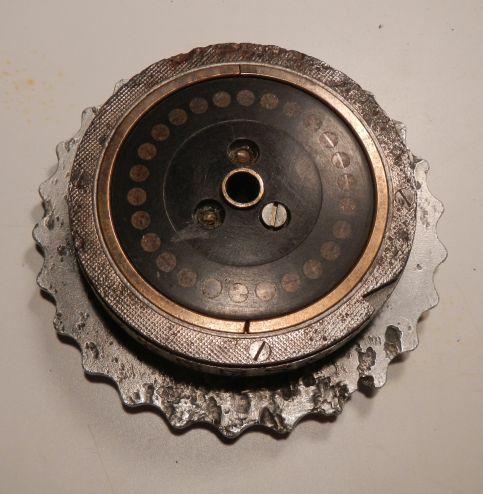 Please inspect the pictures thoroughly. 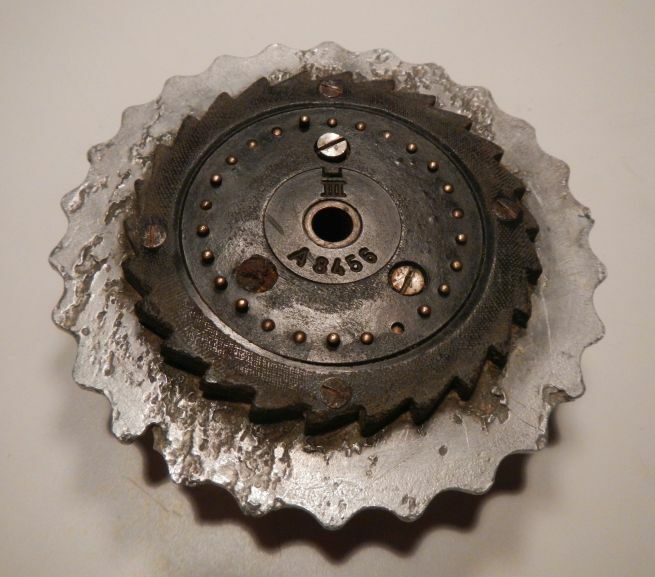 One can speculate that these rotors were left in the field either as a command and communication facility was overrun or that they were intentionally discarded at the end of WWII in May of 1945. 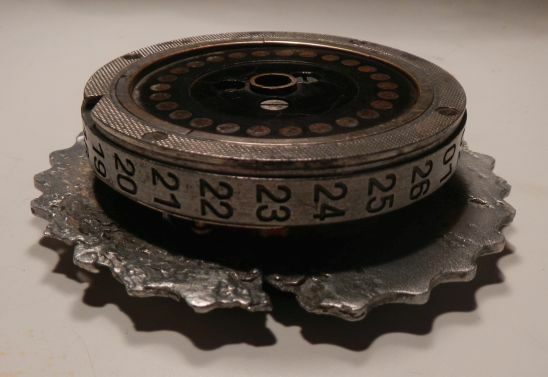 It was common, toward the end of the war, for German soldiers to destroy Enigma machines as they were retreating or being overrun in an effort to keep these top secret code machines from falling into Allied hands. 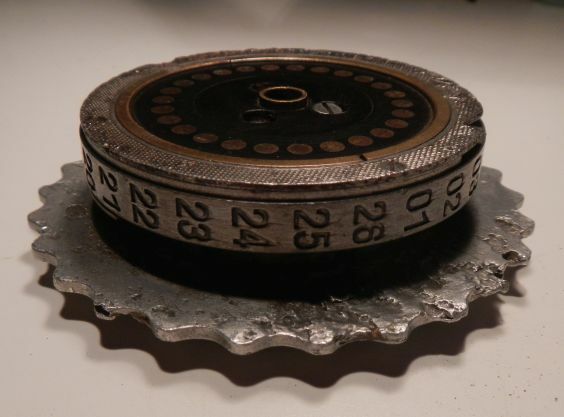 Part of this process entailed discarding the rotors and then destroying the Enigma machine itself. 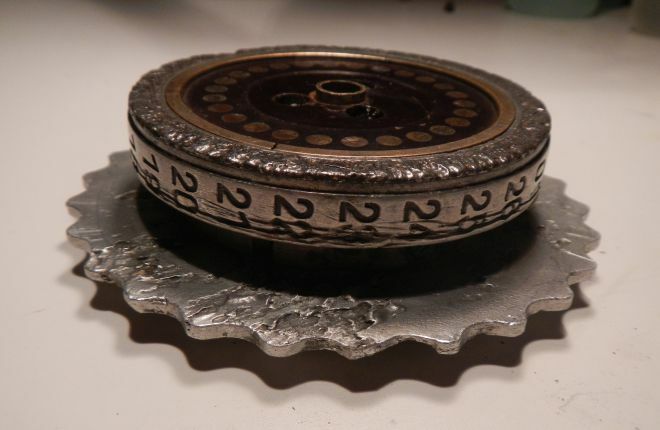 Finding these three rotors together may indicate that they were taken from an Enigma shortly before it was destroyed. 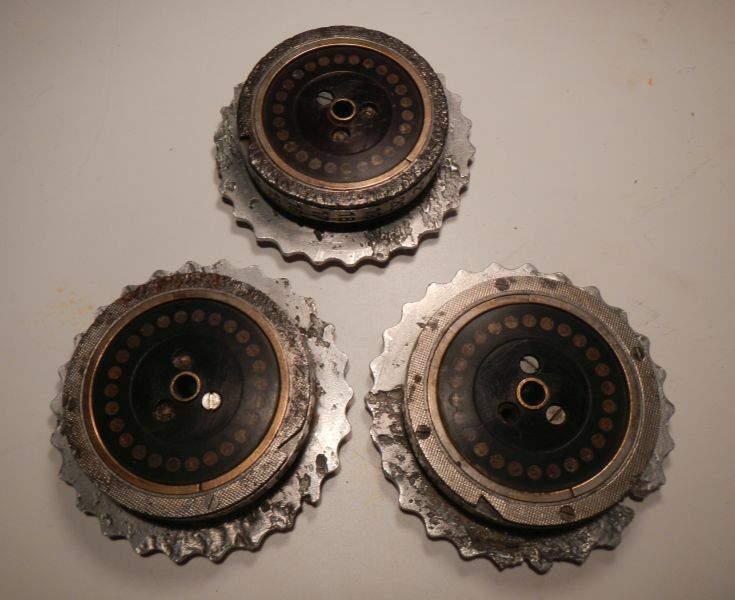 Set of three rare and historic relic Enigma rotors with matching serial numbers. 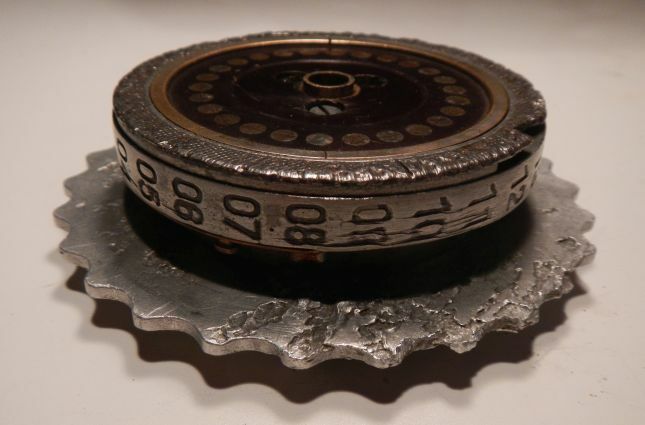 General and technical introductions to the Enigma. 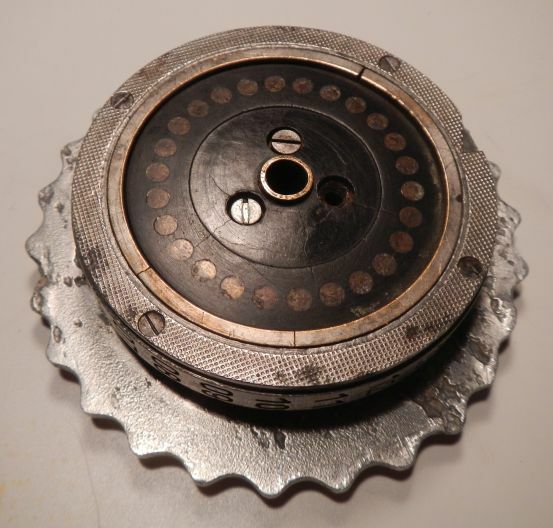 INSIDE ENIGMA (Book) – The Secrets of the Enigma Machine and Other Historic Cipher Machines. 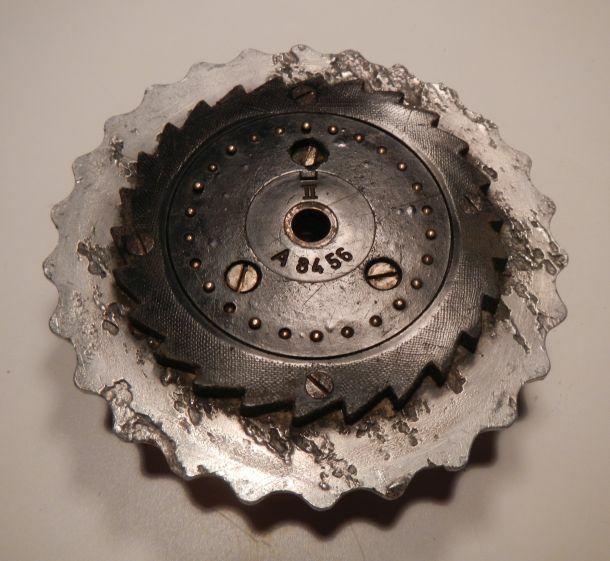 Extensive information on the Enigma, Fialka, M-209, etc. With 206 pages and 500 pictures. Click here to order your copy today. 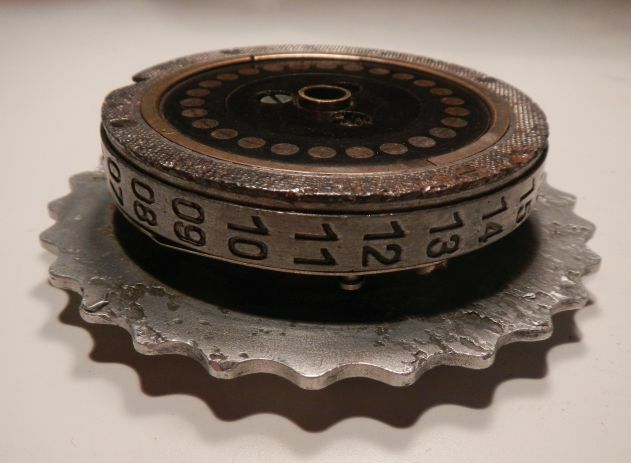 THE STORY OF THE ENIGMA (CD-ROM) – History, Technology & Deciphering. 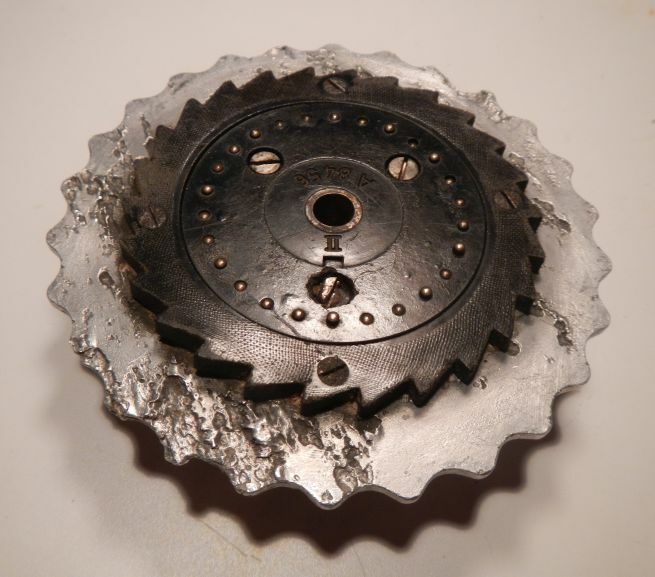 (4th Edition) Detailed text with over 1000 photographs, schematics, 7 books, videos, and an Enigma simulator program. An extensive Enigma library on a CD-ROM ..$15. Click here for more information and to order your CD.